Located at 2532 Broadway, (between 94th and 95th) on Manahattan’s Upper West Side, Rebound NYC is a great studio for personal training. It’s a clean, semi-private space that’s perfect for functional training and kettlebell work. Want to learn boxing or kickboxing? How about Pilates or yoga? Yes we do that too. All with highly qualified, certified and insured fitness professionals. Equipped with a treadmill, bicycle, and an elliptical machine along with free weights and a corner universal station, Rebound has exactly what you need. 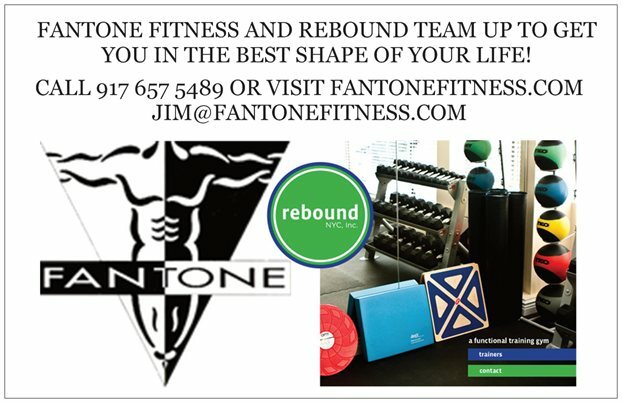 If you’re interested in personal training, contact me and we’ll go take a look at it. By appointment only, please.